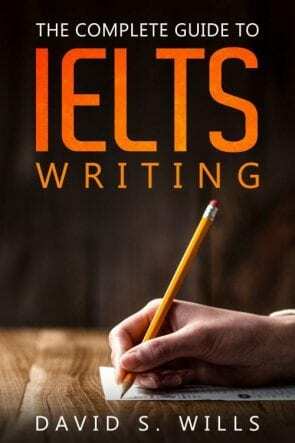 I was helping one of my former students recently with an IELTS writing task 1 question that she found a little difficult. It concerned the populations of two countries over a fifty year period, expressed in pie charts. I decided to write my own answer to help her, and have shared it here for you. These pie charts show population data for two countries – Yemen and Italy. On the left, the pie charts show the nations’ demographics in 2000, and on the right they show projected figures for 2050. Both countries are estimated to undergo major changes in the age of their population. In 2000, slightly over half of Yemeni people are in the youngest age group, which is less than fourteen years old. A little less than half are aged between fifteen and fifty-nine years old, and the remaining 3.6% of the population is sixty years old or more. However, it is projected that in 2050 the percentage of the population aged below fourteen years will decline while the other two groups increase. There will be only 37% of the population aged less than fourteen years, while the percentage aged fifteen to fifty-nine will grow to 57.3%. Italy will follow a similar trend. Its youth population will decline from 14.3% to 11.5% while the number of elderly people nearly doubles. However, whereas in Yemen the group of people aged fifteen to fifty-nine grew, in Italy it will be somewhat reduced from nearly two thirds to less than a half of the total population. I have used some useful words that did not appear in the question – namely, “demographics” and “project” (verb). “Demographics” means the study of a population, which is clearly applicable to these pie charts. “Project” as a verb can mean to guess numbers in the future. For example, “sales are projected to increase next quarter.” I also used an easier word, which has a similar meaning to “project” – “estimate.” I did that simply to avoid repetition. In my student’s essay, she used too many numbers. I have tried to approximate the figures with words – using “slightly over half” and “a little less than half” instead of exact figures. I’ve also tried to identify trends clearly and have completely avoided speculating as to why these changes occurred. REMEMBER – never add any extra information than you can see in the illustration. Is it correct to write “In 2000, slightly over half of Yemeni people WERE in the youngest age group” instead of “In 2000, slightly over half of Yemeni people ARE in the youngest age group” as the year was in the past? You can do either. Of course, 2000 is in the past, and so you can talk about events then in the past simple. However, for IELTS writing task 1, you are looking at a piece of paper with information on it. This information is sort of frozen in time, so you can refer to it in the present simple as I did throughout the essay. However, consistency is important. Don’t attempt both of these techniques in one essay.